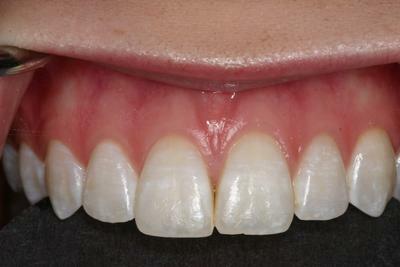 We are excited to be able to present this dental treatment in our before and after gallery. The entire treatment took place in one month with only 3 dental visits. GC MI Paste is the product that makes this possible First, the brown spots are pre-treated with a conditioner used routinely in dentistry; Then, the MI Paste is placed on the brown spots for 5 min and wiped off. The patient was then given instructions for MI Paste use and sent home. These visits take less than 30 minutes and were repeated 3 times. Note: GC MI Paste Plus was given for home use. Many people ask where to buy MI Paste. As of this writing, MI Paste is not available to buy in the stores. 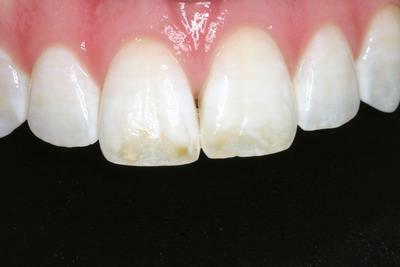 The brown spots in the teeth were removed without drilling or numbing. The visit was quick and painless without any hassle. The great news is she did not have to have any fillings, crowns, or veneers placed on any teeth which resulted in a completely natural smile without any hassle of needing replacements in the future. If you would like more details on dental procedures like this, please CONTACT US.